Committed to moving the Region upwards. Born and raised in the Great Lakes Bay Region, Wayne is committed to forging partnerships across boundaries to make our communities thrive and prosper. Employed by Spence Brothers with a background that includes engineering, community planning, construction, and project finance, he seeks to bring insight and resources to get community initiatives and projects on a pathway to success. He earned a bachelor's degree from Saginaw Valley State University and is a member of the Urban Land Institute, Michigan Economic Developers Association, Community Development Finance Association, and the Community Economic Development Association of Michigan. Wayne enjoys service in community organizations, including serving as Current President of the Great Lake Bay Economic Club, Board Chair for Bay Future, Inc., and as a Board Member for the the Saginaw Basin Land Conservancy, of which he is a past President. He and his wife, Cadia, live in St. Charles with their three daughters. As a real estate development professional, Jenifer is dedicated to creating meaningful spaces that have character and quality. Raised in Michigan by entrepreneurial parents, the CEO of Jenifer Acosta Development has already brought new life to once-vacant landmark buildings such as The Times Lofts and The Legacy in downtown Bay City. Jenifer earned a bachelor’s degree in sociology from Southern Illinois University and a master’s degree in international administration and sustainable development from University of Miami. She also holds a New York University graduate certificate in real estate development. Jenifer offers her expertise to nonprofit organizations including the Bay City Downtown Development Authority, Midland Area Community Foundation, Urban Land Institute, and is the founder of Young Preservationists-Great Lakes Bay. She and her husband, Anthony, live near Midland with their two children. Ben is a corporate officer and Controller of the Garber Management Group, which manages automotive dealerships and related entities in eight states and the Saginaw Spirit Hockey Team. He has been a Certified Public Accountant since 2002. 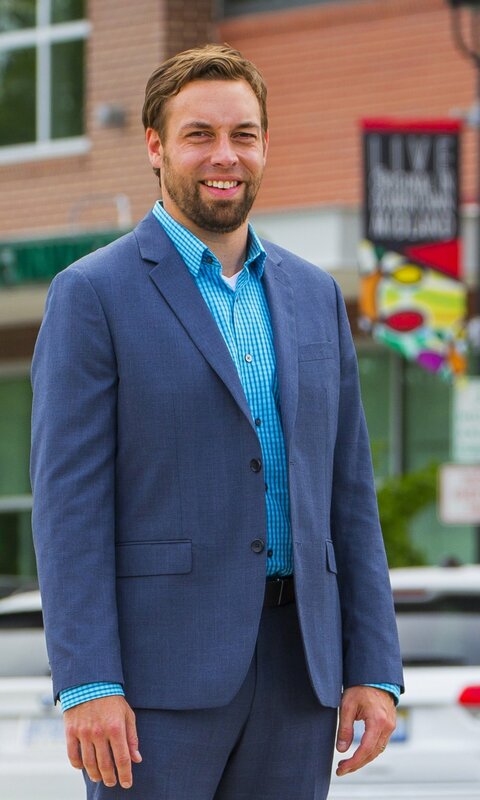 A native of Bay City and current resident of Saginaw County, Ben has been active in many community-focused organizations across the Great Lakes Bay Region, including the Junior Achievement, and the Mid-Michigan's Children's Museum, of which he is a past Chairperson. He currently serves on the Board of the Saginaw YMCA and the Great Lakes Bay Economics Club. Ben earned his Bachelor's of Business Administration in Accounting from Northwood University in Midland. Ben enjoys family time with his wife, Amy, and their 4 kids and a some golf when he gets the chance. Grant is the Director of Planning and Community Development for the City of Midland. Since starting with the City in 2013, he has been involved in numerous Midland initiatives, including the Community Development Block Grant program, the 4D Restoration and Pedestrian Wayfinding signage projects, and the 2018 Midland County Housing Analysis. He has also immersed himself in service opportunities in Midland. His involvement includes Chairman of the Midland Area Chamber of Commerce Young Professionals (MYPros) Steering Committee; Midland County Continuum of Care; Momentum Midland Action Committee; Midland County Habitat for Humanity Neighborhood Revitalization; Midland Area Community Foundation, including the Public Art Committee and scholarship review; and the Mid-Century Modern Midland Design Review Committee. Grant earned his bachelor’s degree in Geographical Information Systems and Planning from Montana State University-Bozeman and his Master’s in Public Administration from American Public University. He is a 2008 graduate of Freeland High School. Grant is passionate about the Great Lakes Bay Region and regularly spends time with friends and family in Freeland, Bay City, Saginaw and Frankenmuth. He is also an active volleyball player, participating in various leagues in Midland, Bay City and Saginaw throughout the year. Dean serves is CEO of SVRC Industries, a non-profit organization committed to serving people with disabilities throughout the Great Lakes Bay Region. The organization provides vocational rehabilitation, housing, and jobs training to individuals with barriers to employment and community access. A truly entrepreneurial non-profit, SVRC operates several subsidiary programs including the Saginaw Advocacy for Individuals with Disabilities (SAID), the Westlund Guidance Clinic, and the SVRC Marketplace. Through his visionary leadership, SVRC Industries has contributed to the renaissance of the City of Saginaw through the revitalization of the former Saginaw News building into a mixed-use redevelopment featuring office space, retail, and an indoor/outdoor Farmers' Market. As the lead developer and investor on the project, SVRC sought to enhance employment opportunities for those served by SVRC while also providing a great asset for the community. A graduate of Saginaw Valley State University with a bachelor's degree in Psychology, Dean also received his Master of Science in Health Care Administration from Central Michigan University. He lives in Saginaw with his wife Theresa and three daughters. Chelsea is a Community Assistance Team (CATeam) member covering Region 5, which includes Bay, Saginaw, Clare, Gratiot, Isabella, Arenac, and Midland counties, for the Michigan Economic Development Corporation (MEDC). 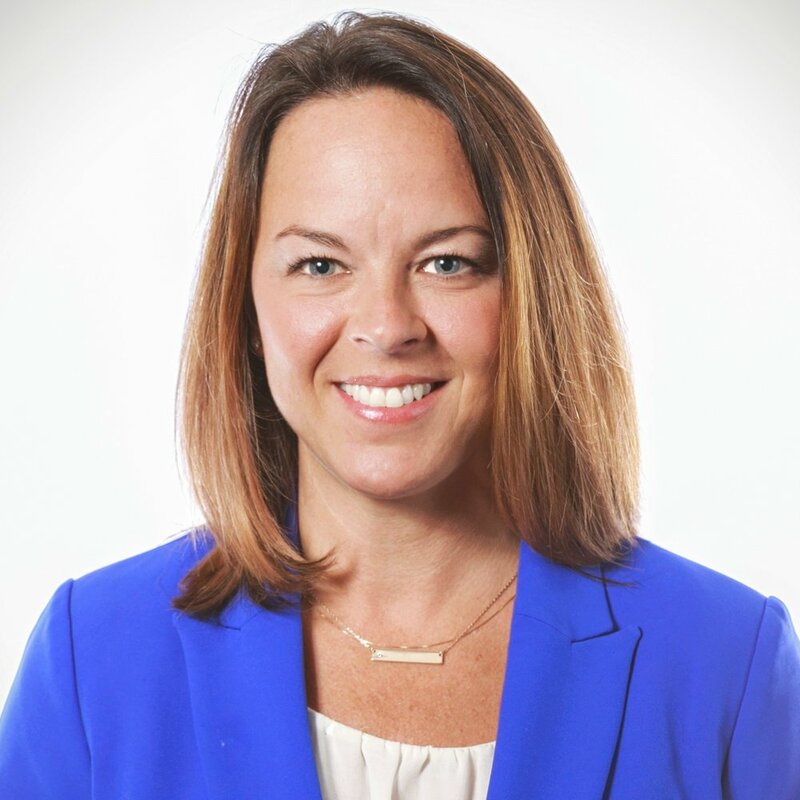 She joined the MEDC from the Michigan Baseball Foundation in Midland where she worked as the Program Manager of the foundation’s economic development initiative called Momentum Midland. Ms. Rowley’s roots are deeply planted in in the Great Lakes Bay Region. Aside from working in Midland for two and a half years before joining the CATeam, Chelsea was born and raised in Bay City, received her bachelor’s degree from Alma College, and previously lived in Mount Pleasant. In her spare time, Chelsea enjoys running, listening to podcasts, and spending time with family and friends. Erin is an Associate at WTA Architects in Saginaw, where she has served as Project Architect of several projects throughout the Great Lakes Bay Region, notably the SVRC Marketplace in Downtown Saginaw. In 2017 she launched [Re]Design Saginaw, a week-long program that introduces local high school and college students to the field of architecture. She is also a member of the Saginaw Riverfront Commission and Vice President of the AIA Saginaw Valley Board of Directors. Mike is the Chief Operating Officer of the State Theatre in Bay City. In addition to serving as President of the Bay Arts Council, he also serves on the Board of Directors for the Bay City Downtown Management Board and Downtown Development Authority. He alos serves as director of the Bay County Historical Museum. He has served as a key catalyst for events and project throughout Bay City, including programming at Wenonah Park and the Nickless Family Pavilion at Wenonah Park, among many others. Paul Barbeau is the Director of Real Estate Strategy and Facility Development for The Dow Chemical Company. Prior to his current role, he joined the Great Lakes Loons in 2006 as the team's first president and general manager. Under Barbeau's leadership, the Loons franchise was built from the ground up, and he established himself as a leader in the Great Lakes Bay Region. Paul serves on various boards and committees including the Midland Community Center, Director of the Michigan Baseball Foundation, Chemical Bank's Midland Community Bank Board of Directors, and Saginaw Valley State University's College of Business and Management Advisory Board. Steve Black serves as Transaction Manager for the RACER Trust, an organization created to remediate and position for redevelopment properties left behind in the bankruptcy of the former General Motors Corporation. 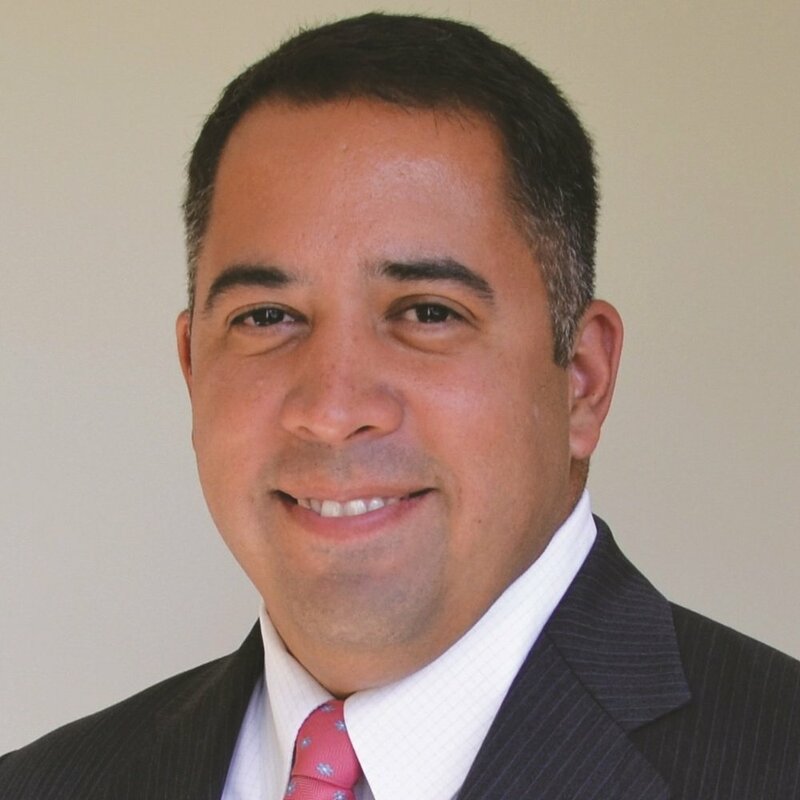 He has previously served as Deputy City Manager of Community Development for the City of Bay City and Vice President at Saginaw Future, giving him an extensive depth of experience in property redevelopment and community planning. Steve also serves as Chair of the Riversedge Development Corporation, a public-private partnership seeking to facilitates the economimc redevelopment of challenged brownfield properties in the vicinity of the Bay City waterfront. He is a Certified Economic Development and maintains a Real Estate License and resides in Bay City. Heidi Bolger is a founding Principal of our Rehmann Consulting Division and consults with businesses in the areas of mergers and acquisitions, strategy, succession planning, profit improvement and valuation. Her professional experience is in the areas of Business Management, Succession Planning, Business Valuation, Litigation Support, Mergers & Acquisitions and Strategic Planning. She has played an integral role in the Great Lakes Bay Regional Trail Network and serves many community organizations, notably as the Immediate Past Chair of the Saginaw Community Foundation. Andre Buckley is a portfolio manager with Polished Rock Homes, is a real estate investor with over ten years of experience in investment management in the Great Lakes Bay Region. He currently serves on the Delta College Board of Trustees representing Midland County. He has served as a leader in many community organizations, including Junior Achievement of Northeast Michigan, Big Brothers/Big Sisters and the Midland Noon Rotary Club. Dave Dittenber has a proven record for building businesses and currently serves as the owner and CEO of Downtown Restaurant Investments (DRI), the President/Owner of Facilities Management Consultants International and the President/Owner of DLR Development, a design-to-build solutions firm working extensively with the healthcare industry. Dave is also one of the founding partners of 4th-IR, a healthcare and life science solutions company. Matthew Felan is the President & CEO of the Great Lakes Bay Regional Alliance. Prior to joining the Great Lakes Bay Regional Alliance, he served as the Director of the McLaren Bay Medical Foundation from 2013-2014 and as the Chief Development Officer at Special Olympics Michigan from 2011-2012. Matt worked as a political fundraiser for over a decade, spending extensive time in Washington, DC and Richmond, VA.
Matt is a native of the Great Lakes Bay Region and serves on the Boards of the Dow Bay Area Family YMCA, the Great Lakes Bay Economic Club,and the Great Lakes Bay Convention and Visitors Bureau. Matt is also a member of the Bay City Morning Rotary Club. Todd Gregory is a Senior Vice President at 1st State Bank, where he serves as business lending manager. Working in the banking industry for nearly 20 years, he sits on the executive board of the Saginaw County Chamber of Commerce, on which he serves as a Past Chair. 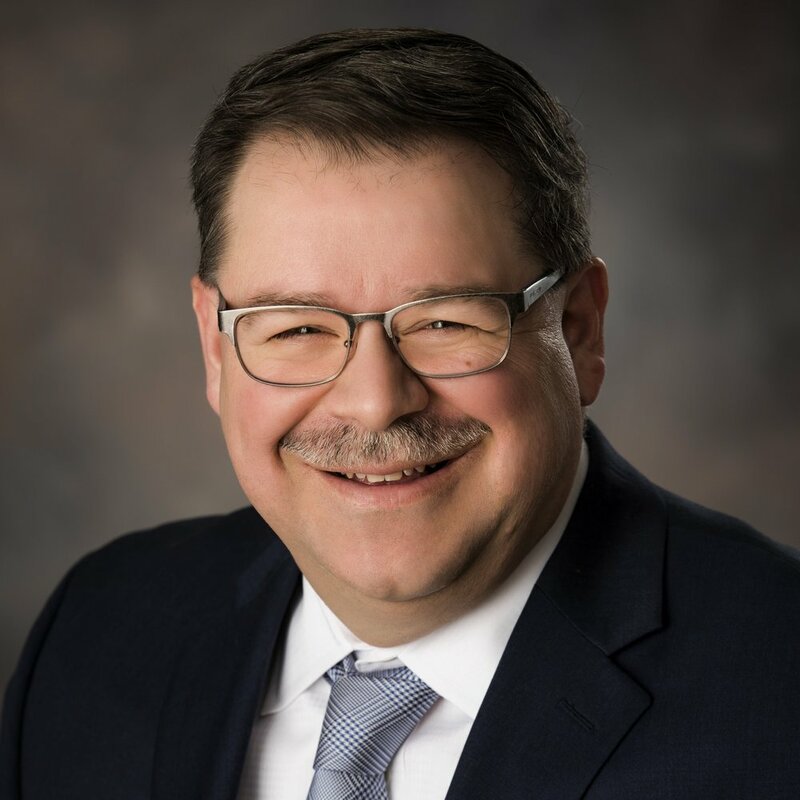 He serves on the boards of Ascension Health Mid-Michigan (St. Mary’s Hospital), Saginaw Community Foundation, Riverfront Saginaw, Saginaw Downtown Development Authority and the Investment Committee of Saginaw Catholic Diocese. Greg Grocholski is an experienced internal auditor, with over 30 years of experience in the chemicals industry, including 30 years with The Dow Chemical Company. Currently Chief Audit Executive for SABIC, a chemical company based in Saudi Arabia, Greg holds a strong connection his home region in the Great Lakes Bay. He has been an integral part of making complex community projects like the Dow Bay Area Family Y and Pere Marquette Depot restoration a reality. He currently serves as Controller of the Michigan Baseball Foundation's Board of Directors. Rod Hildebrant has built several businesses in home care and hospice services and currently serves as the Vice Chairman of Compassus. He serves on the Board of Directors of Mati Energy, Advisory Board for Beatbox Beverage, as well as many community organizations. 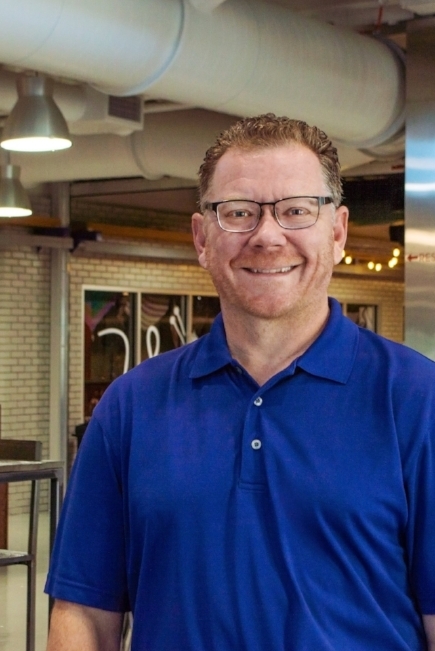 Originally from Bay City, he has invested in his home community through projects like the Times Lofts Apartments and City Market, a full time year round market that brings fresh products to the Great Lakes Bay Region. John L. Kaczynski serves as the Director of Governmental Affairs at Saginaw Valley State University. In this role, he interfaces and lobbies on behalf of SVSU in Washington DC, Lansing and throughout the Great Lakes Bay Region. 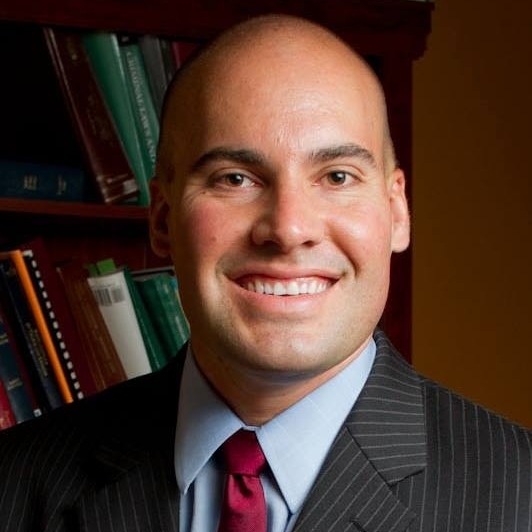 John has worked on various policy projects for state & local government in Michigan. These projects have included transportation projects, brownfield redevelopment and community planning. He currently serves on the Great Lakes Bay Region Workforce Development Board, the City of Frankenmuth Planning Commission and the Kochville Township Downtown Development Authority Board. David Kepler served as the Chief Information Officer of The Dow Chemical Company, as well as serving as its Chief Sustainability Officer during his 40 year career at the company. He previously served on the U.S. National Infrastructure Advisory Council that advises the President on the protection of critical infrastructure and homeland security issues. Since retiring in 2014, he has served on many local and national boards of directors, including as a trustee of the University of California Berkeley Foundation. Locally, he serves on the Board of Directors for the Michigan Baseball Foundation, Midland Area Chamber of Commerce, Mid-Michigan Innovation Center and Alden B. Dow Museum of Science and Art. He is also President and Owner of the Midland Brewing Company, as well as Turtle Cove Properties, LLC. Kristi is the Director of the Michigan Small Business Development Center Great Lakes Bay Region and a licensed Michigan attorney. Before to spending 10 years in private law practice, Kristi spent 3 years in a dynamic role as a community planner for the City of Bay City. Kristi has a broad range of experience advising business owners and real estate investors in financial management, accounting, reporting, data analysis, communications, negotiations, corporate structure, tax & succession planning. Her wall of fame displays a Certificate of Financial Management from Cornell University, a Juris Doctor degree from Michigan State University College of Law, and a Bachelor of Science degree in Architecture from the University of Michigan. Kristi is a recreational house flipper and an avid volunteer with several non-profit organizations including the Bay Area Community Foundation, BaySail, the YWCA Great Lakes Bay Region, and Habitat for Humanity. Jon Lynch is the President of Three Rivers Corporation, with responsibility for establishing overall corporate objectives, ensuring profitable growth, and fulfilling the company’s commitment to its customers and communities. In the preceding 17 years he served the City of Midland as Director of Planning & Community Development, Assistant City Manager, and City Manager. Additionally, Jon serves on the Board of Directors for Associated Builders and Contractors, Greater Michigan Chapter; Great Lakes Bay Regional Alliance; Greater Michigan Construction Academy; Greater Midland Community Centers; Michigan Chemistry Council; and the Midland Business Alliance. Dr. Annette Rummel is President and CEO of the Great Lakes Bay Regional Convention & Visitors Bureau. 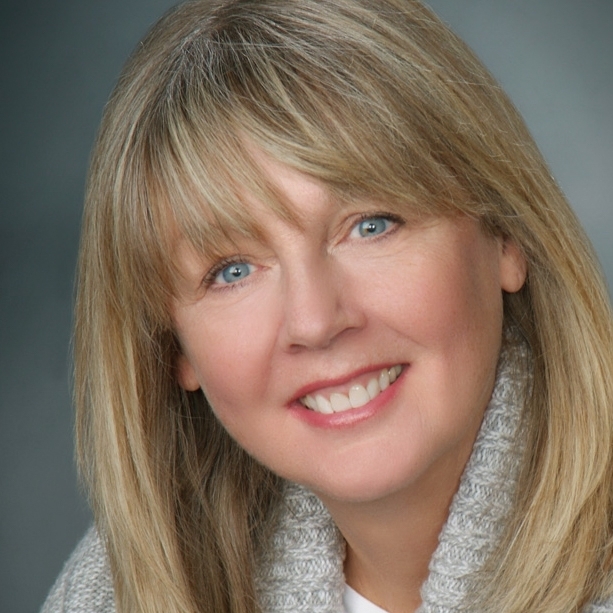 Prior to this role, she has led the Saginaw County Convention & Visitors Bureau, the Frankenmuth Chamber of Commerce and Convention & Visitors Bureau and has been active in the Michigan travel and tourism industry for more than 30 years. Annette is a graduate of Delta College, Saginaw, Michigan; Northwood University, Midland, Michigan; received her Master of Science from Rochester Institute of Technology, Rochester, New York and her Ph.D. from Michigan State University from the School of Agriculture and Natural Resource in the area of Park, Recreation and Tourism Resource Studies. Peter Shaheen is the vice president of Shaheen Development, a family owned real estate development company in the Great Lakes Bay Region. He has served in this capacity for over 20 years. For more than five decades, Shaheen Development’s focus has been to enrich our communities by creating places for living, working, leisure, and healthcare. Peter is also president of HORIZONS Conference Center in Saginaw. Peter is a dual graduate of the University of Notre Dame with a Bachelor’s of Science in Mechanical Engineering and a Master’s in Business Administration. Peter is past president of the Saginaw County Convention and Visitors Bureau, a founding board member of the Great Lakes Bay Regional Convention and Visitors Bureau, a board member of the Boys and Girls Club of the Great Lakes Bay Region, a founding board member of the St. Gerard Society, a Tri-Star Trust Board Member, and he is a past president of the Saginaw Bay Symphony Orchestra. Peter was also recently inducted into the Junior Achievement Business Hall of Fame. Sheila Stamiris recognized her love of cities, growing up in neighborhood-rich Pittsburgh, Pennsylvania. Today, Stamiris serves as the Executive Director of the Frankenmuth DDA and Economic Development Corporation. A graduate of Penn State, Stamiris began her career in downtown development in Bay City in 1987. During her tenure in Bay City, Downtown Bay City was honored as one of five Great American Main Streets by the National Main Street Center in 1999. Stamiris believes that no community in the Great Lakes Bay Region should struggle with finding “there.” The area is rich in human capital and welcoming places – two key ingredients in building great American Main Streets. Jim Vietti is CEO of the Dow Bay Area Family Y, with a background in accounting and finance. He has experience in both the private sector and non-profit sector, and helped lead the financing and 2011 construction of the YMCA's new facility in Bay City, which utilized New Market Tax Credits.